Rick Platt: Knowing What We Know About Ohio's Suburbs. . .
Knowing What We Know About Ohio's Suburbs. . .
. . . we need to keep investing in success of Ohio's suburbs. Ohio's top ranking in Site Selection magazine showed Ohio's economy is dependent on its suburbs and smaller cities. 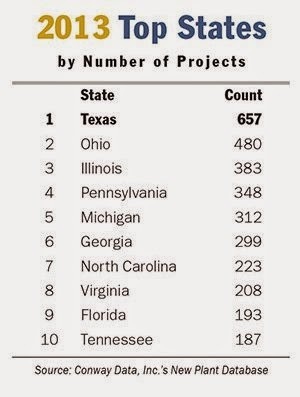 My analysis of the state-produced report on private investment in 2013, showed 94% of manufacturing projects were outside of the Ohio's largest three cities. This is nothing new. Consistently, this has been the case. The number was 93% in 2012. It was 95% in 2011 and 92% in 2010. Yet, state policy makers tend to hear more from the big cities. They may, even, scoff at the idea that Ohio's success is so tied to its suburbs. The noise favors the cities. There are whole lobbyist groups that are set up to fight for a bigger piece of the pie for cities. They go after development incentive programs, capital dollars, and policies that are designed to shift favor to the big city clients at the expense of the suburbs. The suburbs have only the facts on their side. It's not us vs. them, cities vs. suburbs that should rule the day. The pattern is clear: When Ohio invests in the success of its suburbs, all of Ohio gains.